Font based on the Government block font specifications for VA Old Style headstones. Both OpenType and TrueType formats included with the download. 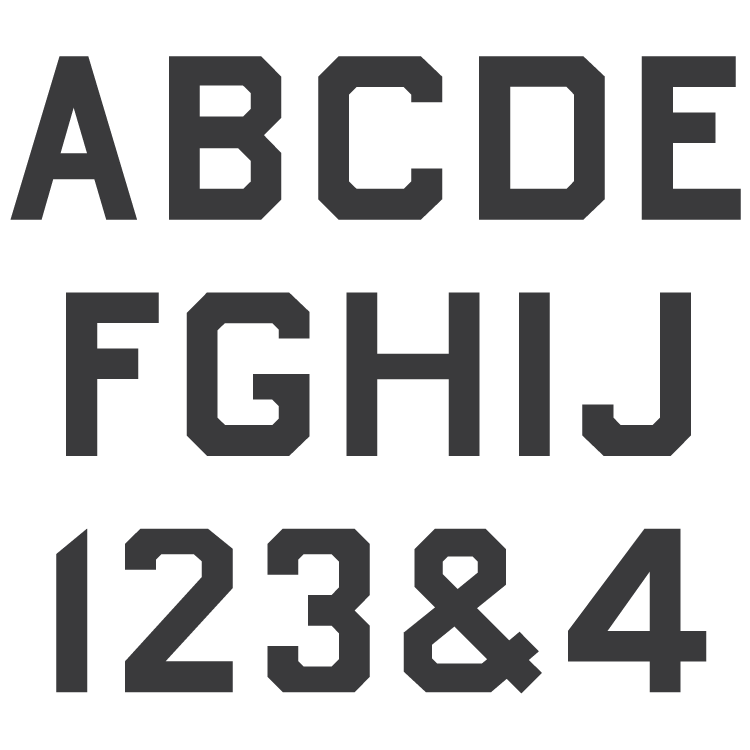 The Government block alphabet was created for government issued tablets, used only for certain tablet designs for veterans of the Civil and Spanish-American Wars, and on marble posts for the designation of areas within Government owned cemeteries. The Government Block font was created to standardize the lettering used on the ‘Old Style’ Government issued tablets for military veterans. The earliest specification drawing known by the MLC to exist is from 1954. Prior to the standardization, the lettering varied depending on the manufacturer. Including round lettering similar to the Common Gothic style. The exact date of creation, and the designer of the alphabet are unknown. 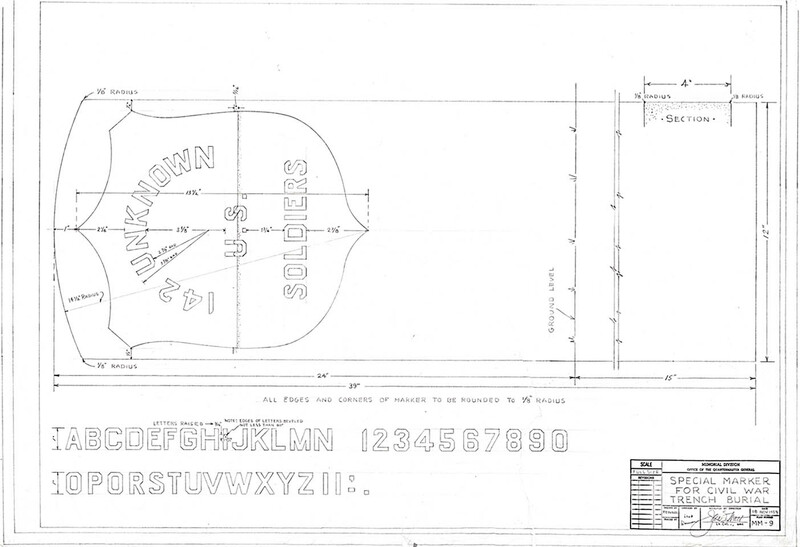 1954 Government headstone specification drawing for Civil War Trench Burial tablets. All letters of the alphabet contain clipped edges at 45 degrees, both on the inside and outside edges. An interesting feature are the seemingly lackadaisical or random widths of many of the letters. The letters, ‘A’, ‘E’, ‘F”, ‘T’, and ‘R’ for instance are quite narrow, while the letters ‘C’, ‘D’, ‘H’, and ‘W’ are optically too wide comparatively. Some letters which should share the same width in a block style font, like ‘O’ and ‘C’ do not. This lack of cohesion would be an unusual design for someone with a professional knowledge of the construction of the english alphabet. 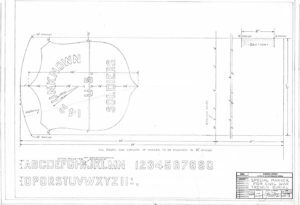 This becomes more interesting when viewing the newer specification drawings, which contain detailed instructions insuring that the letters be engraved to these specific widths. The Veterans Association has very strict rules on punctuation of VA supplied headstones using the original Government font. 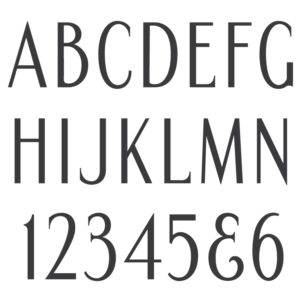 This roman style serifed font does contain an ampersand, commas, parenthesis, etc., while periods are not allowed. It also includes the use of certain diacritic marks. In the case of the Government block font however, the specification drawings contain a period, but little else. Due to the lack of punctuation and diacritic mark information, the MLC has simply included a full punctuation set and multilingual diacritic marks. Typical of all MLC fonts, the MLC Government Block font includes multiple styles of lowercase ‘c’ used for abbreviations of Gaelic surnames. 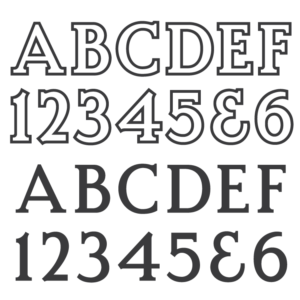 These alternates are available as OpenType alternates when using software which supports OpenType features.